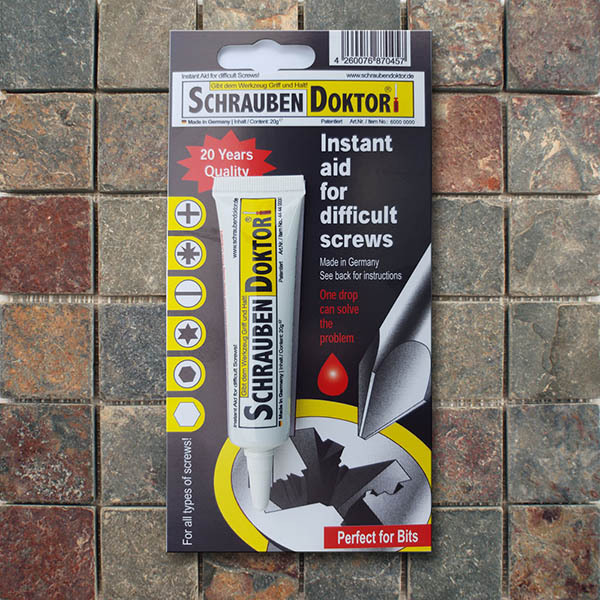 The Original and patented Instant Solution for difficult screws! Supplied in 20ml tube in blister pack. FREE Post & Packaging for orders in Germany, only €5 post & packaging for other EU Member States.